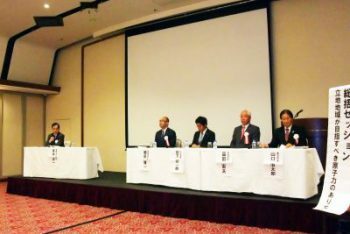 On October 31, a two-day meeting of the National Convention of Nuclear Siting Areas kicked off in Tokyo, under the theme of “Nuclear Power Safety and Utilization.” The meeting was sponsored by the National Nuclear Union, among others. The purpose of the gathering was to enhance understanding on nuclear energy and related matters. It featured discussions among heads of siting municipalities, Diet members and members of women’s organizations, along with presentations by experts and specialists. The whole program aimed at reflecting the voices of siting areas in political discussions and strengthening cooperation. On the first day, the physicist Akito Arima (88), currently joint representative of the National Nuclear Union, and formerly the president of the University of Tokyo as well as the minister of education, delivered an opening speech at the Members Building of the Lower House of the Diet in Tokyo. Referring to increasing global concern over climate issues and the instability of renewable energies, Arima stressed that nuclear energy was a “firm option that can shoulder the surest future for Japan.” He praised the nuclear siting areas, saying, “They contribute immeasurably to ensuring our country’s energy supply.” Arima added that he expected the latest convention meeting to be a significant step toward further cooperation and linkage. At the same time, based on his experience heading the nation’s science and technology administration as minister of education, he noted that “China has leapt to number one in the world in the number of published industrial papers,” indicating his anxiety that Japan was lagging in the area of science and technology. The next to speak was Lower House Diet Member Hiroyuki Hosoda (74), who has held various major posts in the government and the Liberal Democratic Party (LDP), looked back at the recent Hokkaido Eastern Iburi Earthquake of September 6 of this year, saying, “There would have been no blackout across Hokkaido had the Tomari Nuclear Power Plants (NPPs) been in service.” He said that the current situation, with scant progress in restarting the country’s NPPs, must be overcome as quickly as possible. In a speech on behalf of siting areas, Tsuruga City Mayor Takanobu Fuchigami (57) noted that the National Conference of Nuclear Power Siting Municipalities, which he chairs, recently marked the fiftieth year since its establishment. He added that its members have been squarely facing the issues of nuclear power on the front lines of national policy. 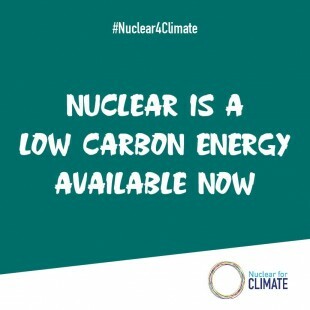 After that, Tokai University Professor Kumao Kaneko (81), president of the Japan Council on Nuclear Energy, Environment & Security (JCEES), gave a presentation on nuclear fuel cycle policy. 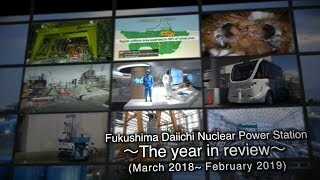 Finally, journalist Yoshiko Sakurai (73), in her presentation, spoke about an interview that she had conducted seven years ago after the massive earthquake of March 11, 2011, with General Manager Naohiro Masuda of the Fukushima Daini Nuclear Power Plants, owned by the Tokyo Electric Power Co. (TEPCO). Ms. Sakurai said that even though the accident responses at Fukushima Daini were something to be proud of, those stories had not been shared at all. What was reported, she said, was only the negative aspects, causing people to become “possessed” by ideas of fear and danger. She blamed the media for that situation. She also mentioned her experience covering the Rokkasho Reprocessing Plant, saying, “When we think about the future of energy in Japan, it is impossible for it to exclude nuclear power.” She concluded by urging engineers and technicians to confront nuclear challenges with confidence and spirit.